The Population Health Blog: Electronic Health Records Not Only Don't Save Money.... They Increase Health Care Costs? Electronic Health Records Not Only Don't Save Money.... They Increase Health Care Costs? One outcome of the Disease Management Care Blog's authorship of this manuscript that questioned the merits of the electronic health record (EHR) was an enduring belief that these systems didn't save money. The DMCB doubted that it would increase provider efficiency, decrease avoidable complications, reduce duplicative testing or increase quality. Its best educated guess was that the impact on overall health care costs was neutral. According to six members of the United States Senate, the DMCB was wrong. They say the EHR may waste money and increase health care costs. 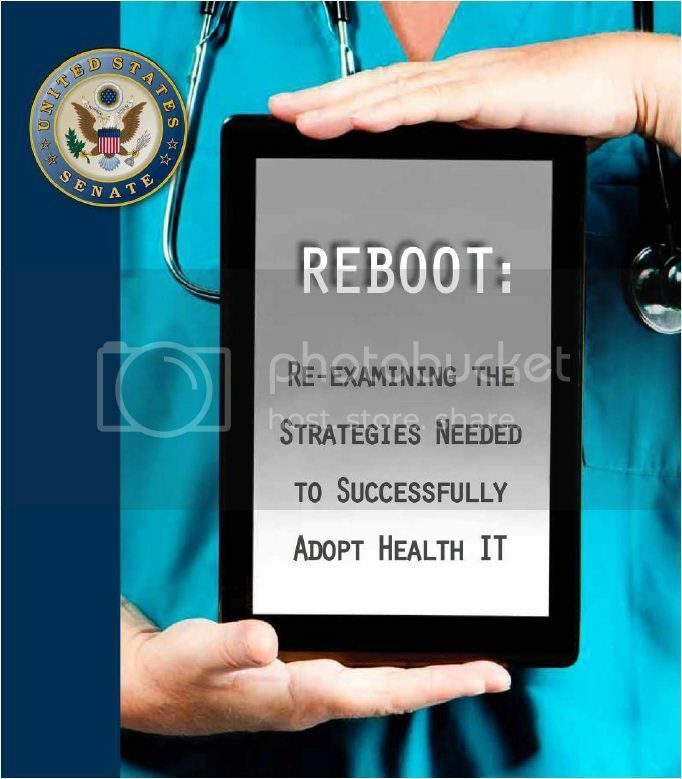 That's among the conclusions of Senators Thune (R-S.D), Alexander (R-TN), Roberts (R-KAN), Burr (R-NC), Coburn (R-OK) and Enzi (R-WY) in their just-released report "Reboot: Re-examining the Strategies Needed to Successfully Adopt Health IT." They point to the phenomenon of "code creep," which can result from using EHRs to document more extensive patient histories and physical examinations that, in turn, are used to justify an "upcoded" and therefore richer bill with a higher payment. In addition, the Senators point to research that suggests code creep can be linked to an increased ordering of clinical testing and services. Last but not least, they point out that once an incorrect diagnosis enters the EHR, it is practically impossible to delete it, leading subsequent providers to mistakenly believe it is still active. And to add insult to injury, Reboot describes the response of a "CMS official" who was asked about the above concerns. The answer was that it would take years for the Agency to better understand the phenomenon. Closer examination of the Senators' report shows that much of the cost concerns are based on lay media reporting instead of any peer reviewed studies. That being said, there may be merit to the idea that EHRs can game billing systems. It warrants further research. Is partisanship playing a role? The DMCB can't deny it's a factor, but the same underlying motivation may be underlying CMS's unwillingness to do anything to diminish the Democrats' health reform "branding." Last but not least, the Agency's guess that it would take "years" to examine the concern is overly optimistic. There are outside analytic/research outfits that can do a faster, better and cheaper job of coming up with an answer. The Senators and the U.S. taxpaying public deserve to know if this is true.